"Tammy Rosenthal helped us get our condo sold. We were well informed all throughout the process and everything went smoothly. We would definitely recommend The Fran Campbell Team." "We have bought and sold many homes in our lifetime. Our experience with Tammy at Fran Campbell Johnson was hands down the best! Tammy was very patient, professional and knowledgeable of the area and properties Accommodating whatever it takes attitude is what we always received . We always felt that things were going to be taken care of and they were. And...we found the perfect property for us and we couldn't be happier!!" "Tammy was well organized and had all the listings we chose to view in an order to allow for efficient and easy driving and viewing. She is highly knowledgeable of the lake and locations surrounding. The process of getting an offer accepted and all the ensuing processes to closing were handled by the Fran Campbell team with very little impact on us." "Tammy Rosenthal, of the Fran Campbell Johnson team did an outstanding job of finding and showing us properties in the area of the lake that we were interested in as well as within our price range. When we found a home we were interested in, she helped negotiate a good deal for us. Tammy and the rest of Fran's team made the paperwork through the closing easy and seamless. Everything until the final closing was done online. We would highly recommend Tammy and Fran's team for any of your real estate needs." Tammy is the total package! "There are not enough nice words to describe Tammy. She was the total package and went out of her way for us. We had the best experience with her. We have moved a lot and no relator comes close. Thank you Tammy"
Tammy Rosenthal did an outstanding job! Tammy was terrific to work with! "Tammy was terrific to work with and really knew all of the condo complexes and the different areas of the lake. She helped us find the perfect condo for our family. We would certianly recommend Tammy and the Fran Cambell team." - Mark and Karen S.
Very impressed with Tammy and her work ethic! 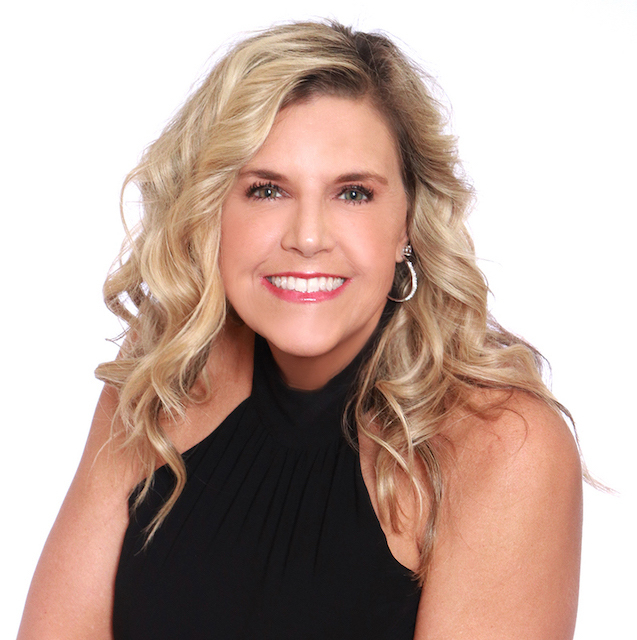 "I contacted ReMax Lake Ozark Realty/Fran Campbell Johnson via email (Tammy Rosenthal) & received a prompt phone call in return regarding wanting to look at a specific condo. She came & showed it to us 2 hours later. We decided to pursue negotiations for purchase & Tammy was in our court from the start. She is smart, knowledgable, professional AND very nice. She answered my MANY questions via email, text or by phone. She was always available. I purchased & closed on my condo in 2 weeks & got moved in on closing day. Fabulous. I was very impressed with Tammy & her work ethic. Thank you Tammy for helping make my dream of lake home ownership a reality. And now I have a new friend as well. Great service!! 5 stars." "Tammy Rosenthal was a delight to work with..she understood our needs, wants & desires, she listened to us. Spent an Entire Day showing us properties till our legs were going to fall off . Some new and some old. Got us very familiar with the area, she missed nothing, Then we knew with no mistake the complex that fit our needs. (first one she ever showed us) She wouldn't let us pay more then it was worth....we held out....and IT WAS ALL WORTH IT! WE COULDN'T BE HAPPIER...I only wished I would have listened to her when she suggested a local lender...I went with my local bank in IL. (BIG MISTAKE) local lenders are more familiar with the projects and appraisals ...then out of STATE. It's hard to let go and TRUST someone whom you just met with such a huge investment, but Tammy & Fran really are Amazing & Truthful. Never once did I feel pressured, and signing contracts thru dock u sign. Piece of Cake as Tammy walked us thru every process with ease and assurance that EVERYTHING will BE GREAT! I Highly Recommend Tammy!" We would never consider using anyone else. "Tammy Rosenthal is the absolute best, most professional real estate agent I have ever dealt with. She was on top of every detail beginning to end. I would never even consider using anyone else." "We worked with Tammy on the purchase of our condo. Tammy & the team were organized, responsive, knowledgeable & very professional. Our experience was certainly worthy of a recommendation."